Since late May, my father-in-law (FIL) has been living with us (he sustained subdural hematomas and other injuries in a May 2014 fall and it became clear that living alone was no longer an option for him). He makes frequent visits to Tallahassee Memorial Hospital (TMH) for diagnostic testing and to the Professional Office Building (POB) attached to TMH for appointments with his neurologist, his balance doctor, and a physical therapist. When you take a patient to TMH/POB for an appointment, you park in the attached parking garage. 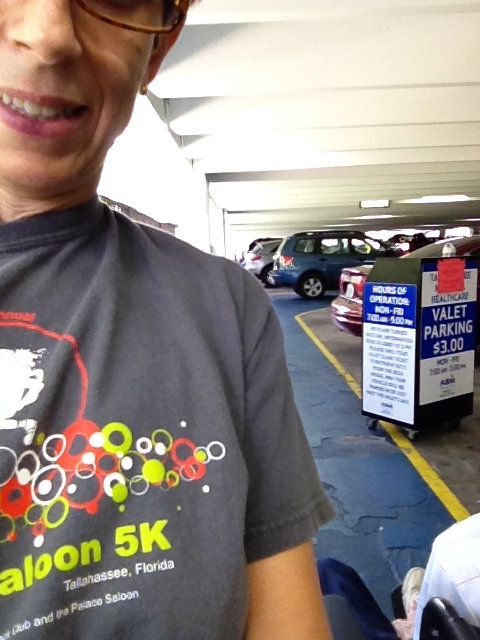 The attached parking garage has a fantastic valet service, which only costs $3. 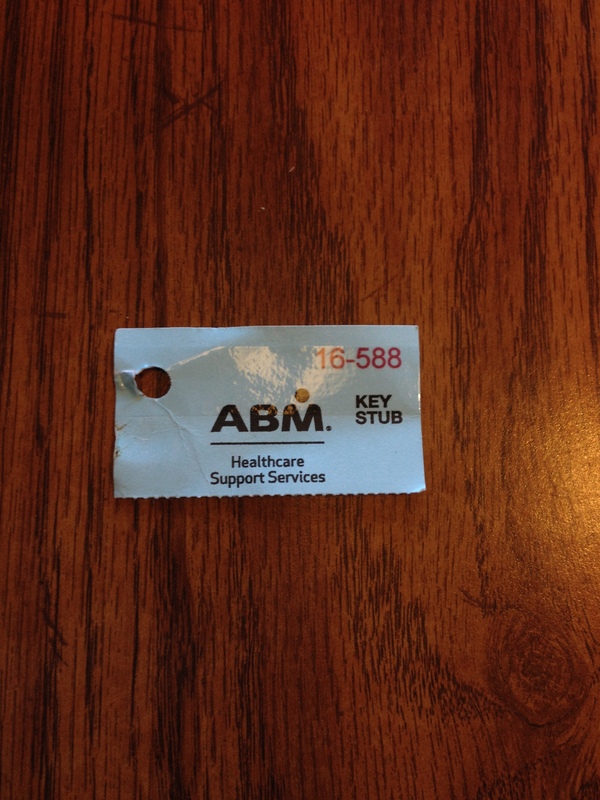 The valet service is administered by ABM Healthcare Support Services (ABM for the purpose of this blog). The employees of ABM are unfailingly polite and helpful. Wayne’s dad has difficulty sustaining his balance when walking any distance at all. For this reason, I take him into TMH/POB in a wheelchair obtained from TMH. It is the procurement of a wheelchair to transport the patient from the parking garage into TMH or POB that presents a WHEELY, WHEELY frustrating problem (sorry, couldn’t resist a play on words!). 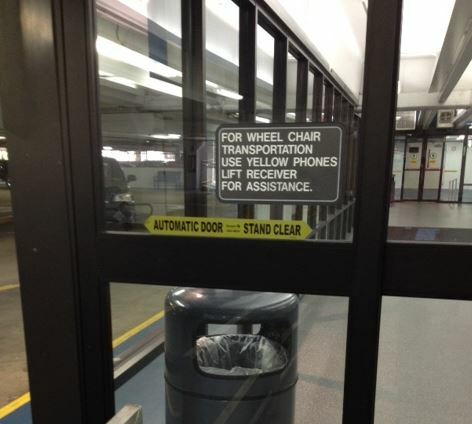 It is extremely difficult to get a wheelchair to use when transporting a patient from the parking garage to their destination. On my most recent visit, I waited 18 minutes. The 18-minute wait was the longest of the visits (approximately seven visits over three months) I have made this summer, but a lengthy wait is typical. The valet staff (always polite) are apologetic and courteous in the way they say “it may take a while.” They have told me that this wheelchair drought situation is unique to TMH (their organization services the other hospital in town and the wheelchair situation is not this bad according to them). They have essentially told me since the transportation staff at TMH is “a different department” (which is true), there is a basic lack of coordination. Then there is the companion issue of getting from POB back to the parking deck. You (as the patient’s caretaker) have to have the physician’s office call “transportation” and wait for them to arrive (another situation where I was courteously told by a physician office staffer “that may take a while”). Recently, I asked the staff to call transportation when I knew my FIL would be done at a certain time (he was in a therapy appointment so I knew it had a fixed end time). When transportation arrived, he was not quite done. The transportation representative said “I can’t stay here.” I asked if he could leave the wheelchair (no). He said to have the doctor’s office call when my FIL was out. Once my FIL was out, the new staff person in the office did not know how to call transportation (obviously not transportation’s problem) so I walked down to the information desk myself. Since there was no one there, but there was a wheelchair, I absconded with that wheelchair in a split second, feeling totally renegade. Most recently, my FIL was in a physical therapy appointment and the office did not have a receptionist. With 15 minutes left before his appointment was scheduled to end, I went down to the information desk to request a wheelchair. The representative said “come get us when you need one.” I replied “that is what I am doing.” This back and forth (“get us when you need it” “that’s what I’m doing”) went on for a while. I asked if I could just take a wheelchair (no). Eventually the information desk individual said he would arrive at the designated spot in 15 minutes (which he did, and for which I am grateful). If you arrive to the hospital on a day when valet is full, you face a different set of issues: depositing your marginally mobile, short-term memory deprived, impatient elderly person on a bench while you find a parking spot, then return to your patient and try to obtain a wheelchair using the “lift the yellow phone” method (note: there is not a yellow phone within ten feet of this sign that I could find). This situation needs a resolution. While we could theoretically buy a wheelchair (or possibly obtain one through insurance) to have for occasions like this (he doesn’t need a wheelchair for general getting around, just for navigating the hospital or other walking-intensive settings), there have to be other patients out there who don’t have the resources to do so. I emailed the patient advocate, and received a response rather quickly. The representative who called back said she would “look into it” and if she found any useful information would get back to me. That was in June. Am I right? I am right in the sense that 18 minutes is too darn long for an elderly, infirm individual to have to wait for safe transport to their appointment. Did I attempt to handle privately? Yes, via the Patient Advocate. Was I civil? Always, even though it was tempting not to be. Can it be fixed? 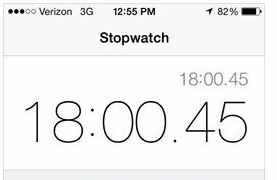 Well, now there’s the 18 minute question! Of course it can; it’s a matter of priorities, values, and communication. If the arriving individual is not a patient of TMH (but rather of one of the doctors in the adjoining POB), they aren’t really a “customer” of TMH. They aren’t going to end up being on any follow-up quality questionnaires. They have nothing to do with TMH’s bottom line. They’re just there, needing to be dealt with. I believe that moves them down to the bottom of the priority list. It also seems to me, knowing how risk averse health care institutions are, that it is as much a liability to have a marginally mobile, short-term memory deprived, elderly person sitting alone on an outdoor bench in 95 degree weather as it would be to have hospital wheelchairs either more plentifully available in general or at least available to responsible caretaker family members. This post has been composing itself in my head for a few months now. I have asked myself multiple times if I am just seeing this all through the filter of the frustrations I feel about caretaking. If that’s the case, then feel free to label me high maintenace. Ultimately, whether it’s my relative or someone I’ll never meet, I just think these patients deserve better. This entry was posted in customer service, Uncategorized by Paula Kiger. Bookmark the permalink. Paula, thank you for such a well-reasoned, thoughtful post. I’m sure many who follow your blog are unaware of this problem at TMH, although as we all age, we should be mindful of looming irritants and downright obstacles to our general health and welfare. As an aside – and only that – I would suggest that you get in touch with Ability 1st, our local Center for Independent Living, and share this whole dilemma. (Incidentally, they do lend wheelchairs) You might also call Disability Rights Florida, a powerful and compassionate group of wonderful people. Oh, yes – you are definitely NOT high-maintenance. As a healthcare worker in a large city hospital – first off, I would like to apologize on the behalf of the healthcare system. Transport at our hospital is also a ‘separate’ department and sometimes takes too long to arrive. We do have ‘public’ wheelchairs available for anyone to use but the problem is these sometimes wheel right on off the property and home with the patient. And while the patient most likely needs the chair, taking the hospital’s is not really the answer. 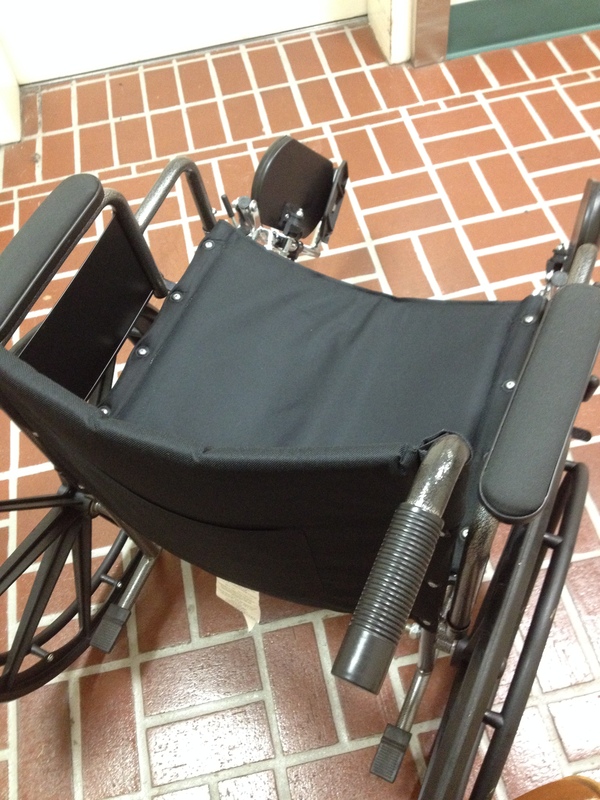 Have you checked into getting a wheelchair for your FIL? I think, with his problems medicare should cover at least part of the price. While this doesn’t fix the hospital problem, it might help in your situation. Thanks, Laura. I completely see what you’re saying, and I can imagine there is a concern about losing wheelchairs on the hospital’s part. We will look into getting him one (but as I said currently the times it is needed are so limited – almost exclusively at the hospital). I still worry about all those others who don’t have the resources to get their own wheelchairs. And you don’t have to personally apologize for the whole healthcare system!! I am sure this is not necessarily unique to our town or this hospital. Thank you for your ideas and resourcefulness. Thanks for bringing this problem to everyone’s attention. I’m thankful that your FIL has a strong advocate. If anyone can get this fixed, you can! I’m afraid I don’t have any suggestions. Please keep us informed. BTW, I LOVE Zappos! It’s one of the few online stores to whom I felt driven to write a thank you email. Their customer service is amazing. Having done a number of years of caregiving for my husband, wheelchair bound, I am completely sympathetic here. I think anyone who owns a “handicap accessible” public building or works in a medical facility should be required to spend a whole day navigating around in a wheelchair! Thank you so much for your comment and response, Warren. I will follow up in detail and am more than willing to provide information and feedback to contribute to a solution. TMH is such an important part of our community; it means a lot to hear that there is a willingness to try to make it the best it can be.